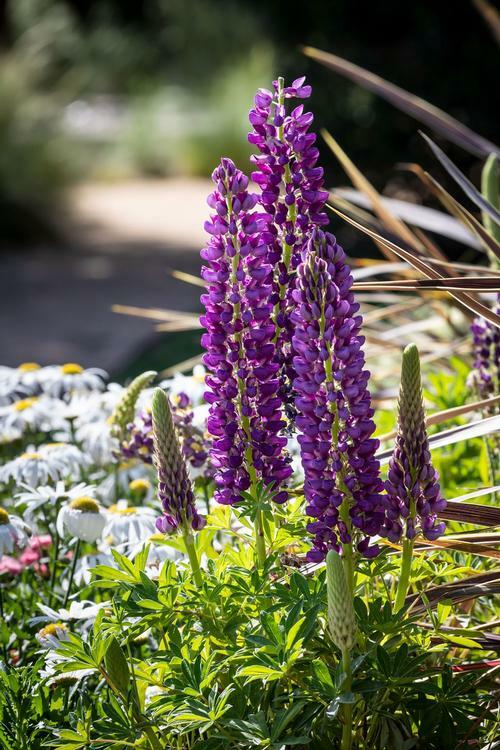 An easy to grow Lupine that will tolerate warmer climates, this series is day length neutral, and does not require vernalization for flowering, will rebloom all season with blue and white bicolor flower spikes until the night temps are above 72. Unsurpassed early summer color with dense spires of pea-shaped flowers. Plants grow best in cooler climates. Deadhead old flowers to promote rebloom.